The food centre at Simpang Bedok has undergone renovation and presented with a new look earlier this year with a mix of traditional and modern hawker stalls. It is also renamed as The Bedok Marketplace. 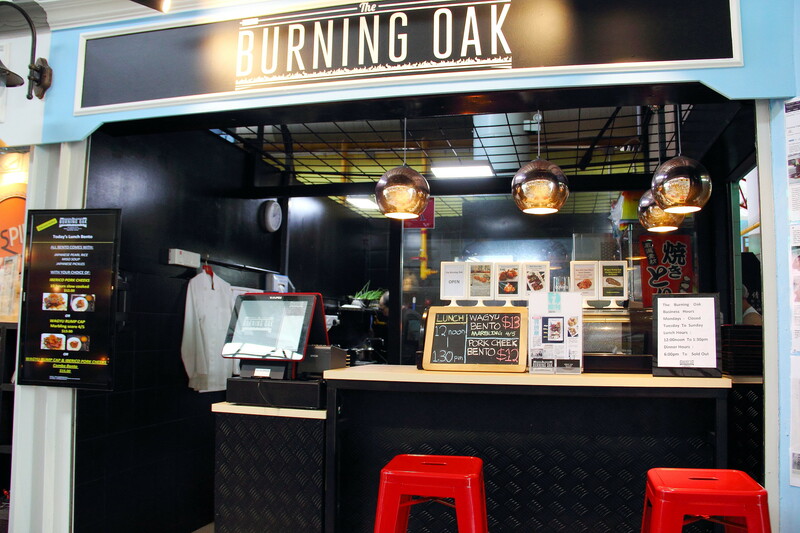 The Burning Oak at The Bedok Marketplace is one of these moderns hawker stalls that has moved into the new food centre specialising in Yakitori and Japanese Don. There were many reviews covering their signature yakitori that is grilled over binchotan charcoal, a premium charcoal from Japanese Oak. During my trip, I did not try the yakitori as my intention was to check out the Wagyu Rump Cap & Iberico Pork Cheeks Don ($15) recommended by Uncle Martin. 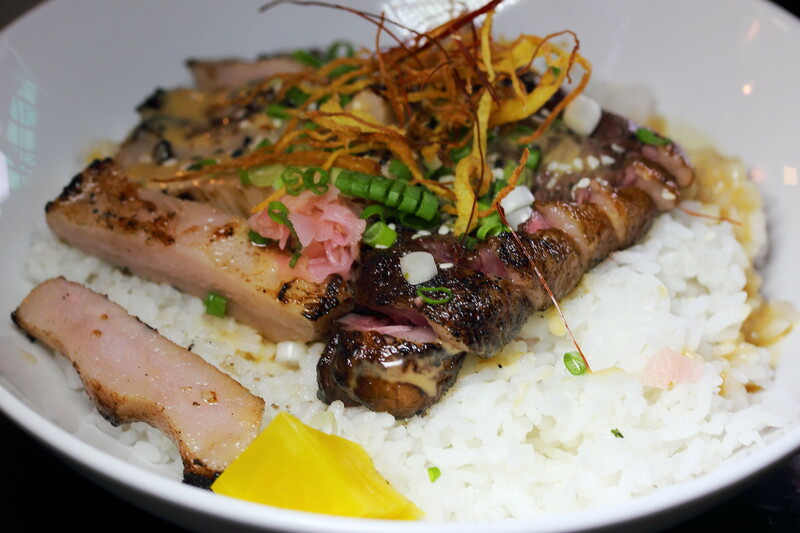 For just a mere fifteen dollor, the bowl of fragrant rice comes with a generous portion of wagyu ramp cap, iberico pork cheeks and an onsen egg. 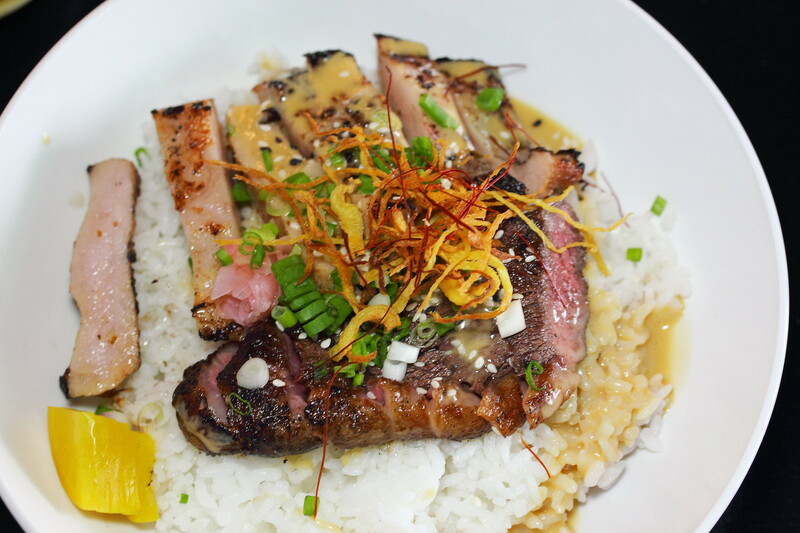 Grilled to a nice smokey aroma, each mouthful of the rice is accompanied by tender meats. 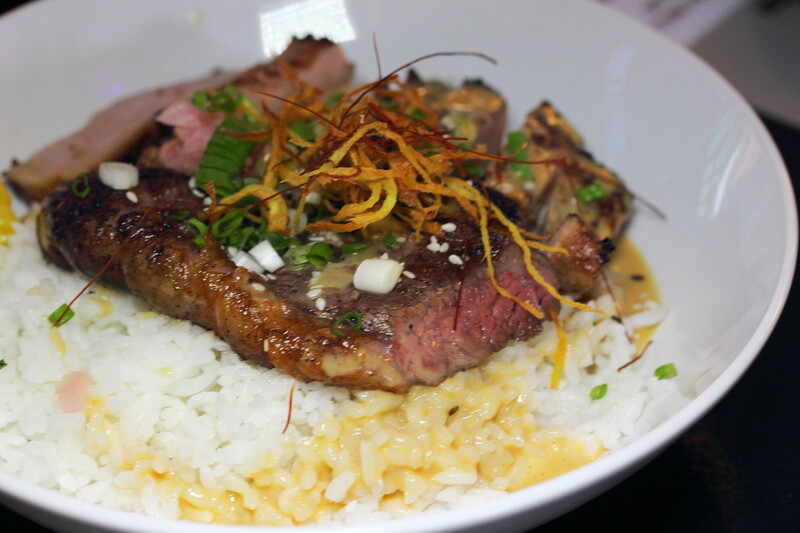 The wagyu rump cap was flavourful and tender. The iberico pork cheek was also cooked to perfection with an enjoyable crunchy bite to it. It is rare to find such a gem servicing quality grilled meat in hawker centre. The price point is also very reasonable for the huge servicing. This is definitely one value for money Wagyu Rump Cap & Iberico Pork Cheeks Don to be found in a food centre.